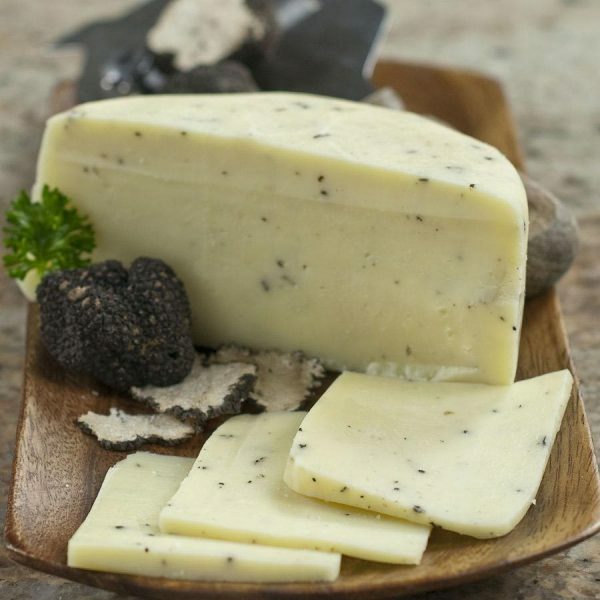 Caciotta al Tartufo is an Italian semi-soft cheese infused with black truffle shavings. It is made using 100% organic pasteurised cow’s milk in the Abruzzo region of Italy. This exotic cheese is matured for one month during which the truffle and milk combination play a big role in developing the vibrant tangy flavour. 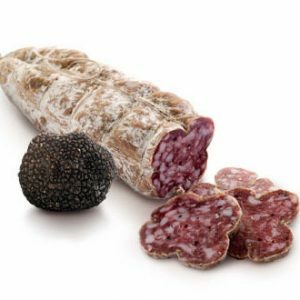 Its paste is mild and gentle with a rind dotted with speckles of truffle. The earthy flavours of Caciotta al Tartufo make a good pairing with dry whites or sharp and strong wines such as Merlot. Try it as a starter together with other cheese, olives or charcuterie! Ingredients: Pasteurized Cow’s Milk, Black Summer Truffle (Tuber Aestivum), Salt.